This is a tease. I’m not giving you any recipes — yet; you have to check back in on Monday. The folks at Love and Olive Oil and The Little Kitchen have created what they hope will be an annual event: The Great Food Blogger Cookie Swap. We all will post on Monday, December 12. Just think: over 600 cookie recipes in one day! Love and Olive Oil will have an overview of the whole shebang, and links to all of the blogs. Check in on Monday for all the details. I’ve received two of my three batches of cookies so far; they’re simply fantastic. I’ll tell you all about them, and about what I sent, on Monday. See you then. This entry was posted in not food, sweet stuff and tagged cookies. Bookmark the permalink. How fun! A cookie swap!! Can’t wait to see the recipes on Monday!! And thank you so much for leaving a comment on my blog and the good advice about the melting cheese! Very kind of you. 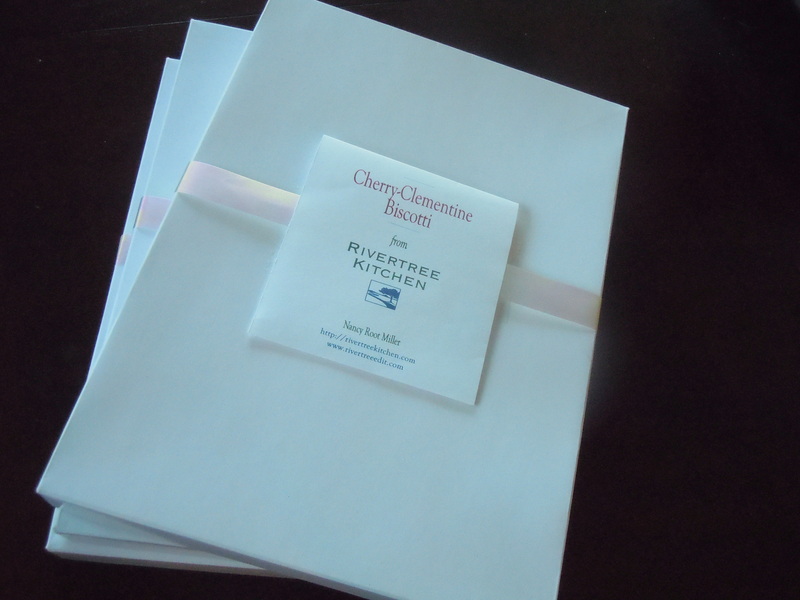 And so nice to meet you Rivertree kitchen! Nice to meet you too, Jennifer. I’ve been enjoying following your blog; you have some great ideas. I can’t wait for all those cookie recipes either.